We love Parks and Recreation, but even we have to admit that the show took some time to find its legs. We're not sure if it was too much Ann Perkins (Rashida Jones), a truncated amount of episodes, or the need of the quirky cast to settle into a comfortable rythm with each other, but the first six episodes pale in comparison to the heights of later seasons. 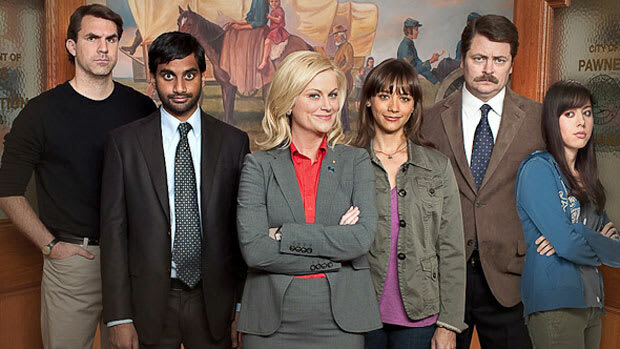 Even show co-creator Greg Daniels was aware that Parks and Rec didn't roar out of the gate. Daniels said, "I think we were feeling that the first six episodes were like one big pilot, we shot it so fast. But we had plenty of ideas about what we wanted to do, and part of what takes time is learning how to write for and collaborate with the actors." Luckily for Daniels and co-creator Michael Schur, NBC has allowed Parks to flourish despite relatively unimpressive ratings. Even those few, sad people who don't like the show have to acknowledge that it has taken huge strides since its shaky premier was percieved as little more than an Office ripoff. Comedy nerds will be forever grateful that, at the time, NBC didn't have anything to take its place along the lines of Whitney or Guys with Kids.